"Audit the Fed!" in 2009; the TEA Party 2010 election; the Arab Spring and Wall Street Occupancy of 2011; Ron Paul's 2012 campaign: anti-establishment political activism is on the rise. But not just activism; rather also, real root-cause analysis and willingness to explore ideas. For example, there was a vibrant discussion on a TEA Party forum a few weeks ago about the Hegelian Dialectic and the prospects for Liberty. That discussion prompted me to think about the basis of the concept of Individual Liberty and to look at the historic roots of freedom from the Ancient City to the modern Internet. That is certainly a depressing view of ‘it all’ -- but also certainly one consistent with the ‘dialectic’ and its belief in unending repeated cycles of thesis, antithesis and synthesis. That's why, in earlier postings on this thread, I've proposed the Misian alternative to the dialectic which is based on the Axiom of Human Action and which rejects the dialectic for what Mises sometimes referred to as an "evenly rotating economy." We do not need to accept the premises of the ‘progressives.’ There is an entire intellectual tradition which has, for over a hundred years, rejected the dialectic and Marxian materialism. That school of thought, sometimes referred to as the "Austrian School," or Free Market School, proposes Human Action, guided by individual choice on the market, as the primary subject of real philosophy, or what Mises calls "praxiology" -- the study of Human Action. In a similar vein, my co-trustee at Natural Solutions Foundation, and its President, Oath Keeper Maj. Gen. Bert Stubblebine (US Army, ret.) engaged with Occupy Wall Street (#OWS) and sent a powerful Emergency Message on the occasion of World Food Day, October 16, 2011. One major factor in common among all of these diverse anti-establishment stirrings: the idea that individuals matter; that individuals can come together and effectively demand liberty. Advocates of liberty can look back to the earliest stirrings of human culture for the beginnings of the concept of self-ownership and the right to liberty which that entails. Early cuneiform written about 2300 B.C. in the Sumerian city-state of Lagash included the word “amagi” which is translated as “freedom.” Sixth Century BCE philosopher Lao Tse championed personal freedom of conscience and during the subsequent millennia the idea of freedom became ever more a driving force in the development of human culture. But, we must not think of the Ancient City as a place of what Mises might have understood as Liberty. One extraordinary work exploring the governance of the Ancient City is the 1864 master work of jurist and scholar Fustel de Coulanges, The Ancient City. In contradistinction to the ancient past, the past half millennium has seen very significant advances in liberty and, in the past century or so, a clear theory of human action, or praxeology, has developed which posits Freedom of Choice as a driving factor in the advance of human civilization, as “dissatisfied” individuals engage in human action. Control over most humans has been maintained for millennia through the use of religious and, later, political ideologies that justify the dominance of the few over the many. Through the use of what early freedom theorists such as Lysandor Spooner saw as the great monopolies created by political power, this strict social control dominated human society. These included the monopolies over conscience (state religions), over the bodies of certain people (chattel slavery; caste systems), or the property rights of about half of the species (the legal “infirmities” of women) and over property through regal claims to “own” the land and economic activities of a territory (feudalism and mercantilism). But in more modern times, the structure of bureaucracy itself has been the control system; consider, for, example, how the regulatory structure of the Military Draft was used in the USA during the 1960s and ‘70s to “channel” students into certain fields, such as science, which were considered of benefit to the state. During the past few centuries the King’s age-old monopolies have begun to break-down and disappear. The world-wide outlawing of chattel slavery and the movement toward equality for women and an end to caste systems have freed-up extraordinary level of human creativity. As a result, despite the enormous growth of government and the burden that system of coercion imposes on all people, human economic activity has reached new levels of organization and efficiency. More people live longer, healthier and wealthier lives than ever before in human history. This powerful, world-wide movement toward greater liberty has met nearly equally powerful resistance among the beneficiaries of the monopolies. Fundamentalists among the three related monotheistic religions have especially resisted the equality of women. Politicians of various persuasions have many spurious arguments to make about economic controls that are just variations on the King’s Monopolies that had been rejected by the European Classical Liberal Tradition, from which the work of Mises and Rothbard arose. The Twenty-First Century has enhanced intellectual tools to bring to the battle of ideas; the instantaneous communications of the Internet Social Networking universe allow no one to hide behind old, disproven ideas. Nonetheless, Hegelian concepts about “collectives,” echoed by the intellectual heirs of Hegel, the Nazis and the Marxists, and more recently taken up by collectivists of various more seemingly-modest varieties, are still raised in an attempt to impose “Politically Correct” restrictions on speech and intellectual inquiry, especially in the government’s “public” universities and other “public” spaces. Similarly, collectivist arguments are made by Islamic and Christian fundamentalists, against freedom of conscience and for government restrictions on freely chosen Human Action. Of course, against this we find many expressive association non-governmental organization (NGOs) using the most advanced forms of Internet communication, to pursue the Liberty we have come to expect as of right. Advocates of liberty see only one ethical limit on Human Action: non-coercion against non-coercers. In this way, libertarian political theory stands in direct opposition to the ideologies of the old Right/Left paradigm. The Misian approach counters arguments about legal fictions such as “peoples” – “races” – “nations” – “religions” – “classes” – “corporations”, with arguments about the root of Human Action – the Axiom of Human Action: individual dissatisfaction. These legal fictions cannot act in the real world. Only humans act; sometimes pretending to act on behalf of these fictions. It's time, though, to wake up from the mythic ancient city and assert the real roots of human culture, in Human Action. It's time to take responsibility for what is real. “Man's freedom to choose and to act is restricted in a threefold way. There are first the physical laws to whose unfeeling absoluteness man must adjust his conduct if he wants to live. There are second the individual's innate constitutional characteristics and dispositions and the operation of environmental factors; we know that they influence both the choice of the ends and that of the means, although our cognizance of the mode of their operation is rather vague. There is finally the regularity of phenomena with regard to the interconnectedness of means and ends, viz., the praxeological law as distinct from the physical and from the physiological law. The elucidation and the categorical and formal examination of this third class of laws of the universe is the subject matter of praxeology and its hitherto best-developed branch, economics. The body of economic knowledge is an essential element in the structure of human civilization; it is the foundation upon which modern industrialism and all the moral, intellectual, technological, and therapeutical achievements of the last centuries have been built. It rests with men whether they will make the proper use of the rich treasure with which this knowledge provides them or whether they will leave it unused. But if they fail to take the best advantage of it and disregard its teachings and warnings, they will not annul economics; they will stamp out society and the human race.” - Human Action, Pg 885. Mises, speaking to a group of then rather young libertarians at a Society for Individual Liberty conference in Philadelphia warned us all back in 1971. He wagged his finger at his long-haired audience (including a Nobel laureate's son; several future best-selling authors; even a congress-critter-in-the-making...) and told us, "You are eating your seed corn..."
And so we have been... but we have also been learning and communicating in ways that visionaries like Mises, or Buckminster Fuller, were just dimly perceiving just a few decades ago. It was Fuller who opined, just before his passing, that the then new computer media would make what he called "the secret government" impossible. I firmly believe that the Tea Party #teaparty and Occupy Wall Street #OWS can constructively engage, in a transpartisan discussion - since both movements see the the same mis/non and malfeasance of the crony corporatists and their minions in govt. However, "IMHO" it is the Ron Paul libertarians, who can "stand in both camps," who can best bridge to actual solutions to the problems, and an opportunity to teach a whole "progressive" generation that govt is not any solution! The solution is to adopt the strong market-oriented reforms, such as Rep. Ron Paul, as House chair of Monetary Policy, has offered. HR 1094, 1098 and 2768 are a comprehensive restructuring and de-socializing of the USA's centralized banking system. I wrote about that HERE. Similarly, he is offering a comprehensive Trillion Dollar Budget Reform that rapidly returns to a balanced budget, and a series of bills about health and food freedom, such as the Raw Milk Freedom Bill, HR.1830, about which I wrote, HERE, that, in his wording, would "Legalize freedom!" It appears to some analysts, such as Gen. Stubblebine, that the globalists want to use #OWS as a counterfoil to what they perceive as a potential Tea Party Tsunami. The General thinks we need to outflank them by weening the movement from pro-govt stands to a truly radical rejection of the Left-Neocons that now control the White House. A globalist "Genocidal Agenda" is discussed by Dr. Rima E. Laibow MD in this appearance at the School of Enlightenment, Yelm, WA. In this new approach to politics, this transpartisan approach, once again Dr. Paul has shown extraordinary leadership. Examples include garnering over 320 House co-sponsors to his tough Audit the Fed bill in 2010, and the 2008 Joint Policy Statement what he calls the "Principled Third Parties" issued together, in an unprecedented "right/left" show of support for his leadership, about which I wrote HERE. Any wonder Dr. Paul has photos of Mises and Rothbard on his DC office wall? These are, as the old Chinese curse has it, "exciting times..." they are times that cry out for concerted, well-considered Human Action. To paraphrase Mises: Only Individuals think. Only Individuals plan. Only Individuals engage in Human Action. All the rest is political fiction. Any future politics must take this Truth into account. Since the exchange at the GOP Tea Party Debate in Florida earlier this week, where Rep. Michelle Bachmann chastized Gov. Rick Perry for his Texas Executive Order illegally mandating the dangerous Gardisil vaccine for children, there has been a lively debate about vaccines and freedom on various forums and news media. Some have expressed the opinion that they trust the CDC more than they trust those who oppose such invasive medicine. The excerpts and paraphrases below gives the flavor of some of the arguments against the vax supporters. The private sector experts of risk in our society, namely the insurance industry, refuse to offer insurance to cover vaccine injury risks. Private for-profit companies (and that includes drug companies) are not permitted to invest shareholders' money in uninsurable risks. So, but for the Act of Congress denying us our common law right to redress for foreseeable injuries, there would be no vaccination industry. That Act was passed in response to the First Swine Flu Vaccine Disaster of the mid '70s when hundreds died. Congress acted fast, to protect Big Pharma. My question is: Why would people who are smart enough to be opposed to Govt programs like "Obamacare" and thus, one would assume, have a healthy sense of disbelief in Govt programs, accept the Govt's propaganda abut safety and efficacy of vaccines rather than the private risk experts' judgment that vaccines are, uniquely, an uninsurable risk? And why should tax funds ever be spent on such risks and why should anyone ever be forced to accept such uninsurable risks? Where, my further question has been, in Art 1 Sect 8 does Congress have the power to do this to us? And better, how does mandating vaccines -- whether Federally, in Texas, MN or NJ or wherever -- comport with our Core Values which include supporting the free market, something that is totally not represented by the vaccine-pushers? The answers for anyone not mesmerized by the propaganda should be obvious. It is, ultimately about Liberty and Social Control. Let's look at the Second Swine Flu Vaccine Fiasco of 2009. First, the Govt HHS bought the entire output of 5 drug companies for $6.4 billion, including the especially dangerous live virus vax, the first to be ready (and bought about a half billion dollars of Squalene, an unapproved adjuvant drug, just in case). Second, the Govt FDA approved the drugs without safety testing [the CDC, who some trust, said that the Swine Virus was a "novel" virus with pandemic potential; then the CDC said, it's just a "change of strain" not needing safety testing... right, let's trust the CDC, shall we?). Third, the Govt CDC recommended the mandating of the vaccines, thereby triggering various state mandates that we successfully stopped. Fourth, the Govt distributed the vaccines... but almost nobody took them... instead, over 3.5 million Americans emailed their state and federal reps refusing the vax ... and the program collapsed and the pandemic never happened. We "vaccine truthers" believe that there was no pandemic because it is the vaccines, especially the live virus vaccines, that cause epidemics. What was the Govt Swine Flu Plan, as set out in the law suits? Can you imagine the disaster that would have occurred with non-sterile drug mixing in school cafeterias, town hall basements and post offices? I can and I thank God we stopped the insanity. Leadership in Crisis: Ron Paul's Constitutional Monetary Reform Bills HR.1094, 1098 & 2768! Dr. Ron Paul (R - TX) as Chair of the House Monetary Policy Subcommittee, and a leading presidential candidate, has introduced a package of bills aimed at restoring Constitutional Money and saving the United States from the Deficit Downgrade Dollar Debacle brought about by the Boehner/Reid Fed Debt Increase. The third of the bills was introduced on Monday, August 1st, the same day the current White House occupant signed the Debt Increase law, the day before the Treasury borrowed (on 08.02) another $263 Billion (which may lead to August being the largest Treasury borrowing month ever, surpassing even February 2011). With the Federal Reserve fiat "dollar" in free-fall against the value of Gold (8.8.11 - reaching up to 1,762 FRNs to the Oz Au overnight) and with the Dow collapsing 512 & 634 points in the biggest drops since December '08, the urgency of real Free Market Monetary Reform becomes all the more obvious. The Market knows the Boehner/Reid Fed Debt Increase is doomed to failure. Americans ought to reject the Big Lie: namely, that the Tea Party is to "blame" for the S&P Downgrade! Patriots need to Push Back against this disinformation! IMHO, the way to do that is for Patriots to get behind Dr. Paul's Free Market Monetary Reform bills with the same fervor we got behind the '07 End the Fed Rallys and the 2010 Kick-the-Bums-Out Election. Patriots need to organize around an issue that can keep us together and in the news as the deception media ramps up the electioneering show, hoping to further marginalize the Tea Party and their natural allies, such as the Constitutionalists, Libertarians and so many others. We need to organize around an issue that positions us to "have the answer" as the hyperinflation escalates. HR 1098 which legalizes the setting of legal tender in private contracts; abolishes taxes on gold & silver coin trading. To repeal the legal tender laws, to prohibit taxation on certain coins and bullion, and to repeal superfluous sections related to coinage. HR 1094 which abolishes the Fed Reserve board of governors and puts it in receivership preparatory to abolition. HR. 2768 Would Cancel the Fed Reserve's FAKE TREASURY BOND "PURCHASES" MADE WITH ITS FAKE FIAT "DOLLAR" INFLATION! Rep. Ron Paul on Monday introduced legislation that would lower the federal government's debt by canceling the roughly $1.6 trillion in debt held by the Federal Reserve. Paul has argued for the last few weeks that the idea represents a quick way to make the growing fiscal crisis more manageable. Under his bill, H.R. 2768, the $1.6 trillion that the Treasury owes to the Federal Reserve would disappear. The approach that Dr. Paul proposes is a continuation of his overall program to "Legalize Freedom..." as he says. Please support these bills! 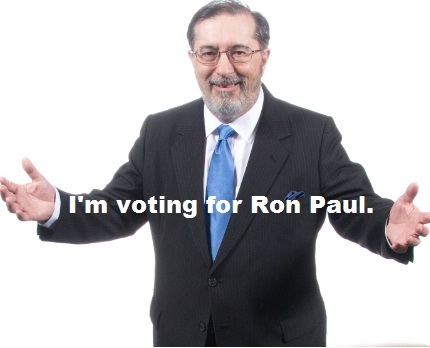 Urge your congressional reps to become co-sponsors, like over 300 did with Dr. Paul's Audit the Fed bill in '09. Armed Govt Agents Raid Amish Dairies, Raw Food Co-ops and Health Food Stores... As the Raids Intensify, our Health and Food Freedom is Threatened... Meanwhile, the Increases in Factory "Phude" (Looks Like Food, But It Ain't) Disease Exposes the Failures of the Federalization of Food Safety! During 2007 the Natural Solutions Foundation warned the American public that Ted Kennedy's last gift of power to the Federal bureaucracy, the so-called FDA Modernization Act of 2007 (what we call the FDA Enabling Act) would seriously threaten our Health and Food Freedom. Although we fought hard to make sure language was kept in the 2007 bill "exempting" dietary supplements, the DSHEA Exemption, (and you sent over 150,000 emails in one weekend!) we were not holding out much hope that this massive increase in FDA power would not be used against our freedom of choice... despite the fact the the law is clear and the statute had specific exemption language. We were specially worried about language in the Act that would let FDA ban interstate commerce in any FOOD that had ever been studied for medical use. Sure enough, the ink of President Bush's signature was barely dry when FDA moved to ban the first supplement under the new law. At the behalf of a drug company (they called it a "citizen petition") FDA banned a form of Vitamin B6 that has been continually available for decades. This form of B6 happens to be the most bioavailable, thus the drug company "studied" it and then decided NOT to market it, but rather seek govt help in banning it! How did FDA "get around" the DSHEA Exemption? It announced that none of the vitamin companies and advocates objecting to the ban had "proven" that this particular form of B6 had been "sold to supplement the diet" prior to the "grandfathering" cut off date in 1994. The listing of this form of B6 in the "Old Dietary Ingredients" list posted on the FDA website was not to be considered proof anymore! This new regulation threatens every nutrient innovation since 1994... and maybe before! Threatens All Nutrient Innovations Since 1994! The FDA has just issued a proposed mandate that will enable the government to ban the most effective dietary supplements you are now taking. If this proposal is enacted, many fish oil formulas and natural plant extracts will be removed from the market until so-called safety testing is done. The FDA wants each nutrient company to force-feed laboratory animals the human equivalent of up to 240,000 milligrams a day of certain fish oils. This outlandish dose will injure the test animals and give the FDA an excuse to outlaw the supplement. How can the FDA do this? They are seeking to reclassify the natural supplements you now take as "food additives." This gives the FDA power to mandate outrageous safety thresholds that have no relationship to the scientifically validated doses of nutrients you take every day. Why are they doing this? Because these natural products work too well. Take curcumin as an example. It has been shown to inhibit a deadly transcription factor in cells called nuclear factor-kappa beta (NF-kB) that is responsible for immune system regulation. Over-expression of NF-kB is linked with tumor cells that resist normal cell growth and maturation, as well as inflammation. Pharmaceutical companies want to own the exclusive rights to these kinds of plant extracts that are freely sold on the market today. They don’t want consumers to be able to obtain these biological benefits in low-cost supplements. Instead, they want to patent synthetic versions as high-priced prescription drugs! "If the First Amendment means anything, it means that regulating speech must be a last - not first - resort... We have previously rejected the notion that the Government has an interest in preventing the dissemination of truthful commercial information in order to prevent members of the public from making bad decisions with the information... Even if the Government did argue that it had an interest in preventing misleading advertisements, this interest could be satisfied by the far less restrictive alternative of requiring each ... to be labeled with a warning that the [product] had not undergone FDA testing and that its risks were unknown..."
Once again, the FDA is abusing power Congress wrongfully granted to this oppressive agency! Once again, our Health and Food Freedoms are under assault! We initiated a new Action Item to reply to this latest FDA attack on health and food and urge everyone to "take it viral" and flood decision makers with your concerns! In addition, we have several other current relevant Action Items we urge you to use daily! NOW ARE YOU READY TO GET SERIOUS???? Let's face it. We need a staff devoted to keeping the attack, and the attackers, straight. Food. Nukes. GMOs. Vaccines. Compulsory Drugging. Medical Privacy. Chipping. TSA/DHS Radiation Exposure. FDA Raids. "Yes, Yes, and there will be more. Many more, I am sorry to tell you." That's right, all of them. The Constitution of the US was shredded by the Rawsome Food Co-op raids. What is left? Rags and tatters of the hemp parchment upon which it was written. 4. Invest in the NSFGreenFund, www.NSFGreenFund.org, to use the money that you would invest anyway, be it IRA, 401 or other monies, to support the activities of the Natural Solutions Foundation AND make a return. For our supporters, this private expressive association has made it affordable by setting very low minimum investments for monthly or lump sum investments (which can be pooled by several people) and adding a bonus value of 6% to your investment. Check it out. The money is for freedom. AND you get a return on your bonded, insured principle. OK. That's it. No guns, mud, freezing conditions at Valley Forge. Just Freedom Mice and Freedom Money. How very 21st Century! How very essential. Too much trouble? Not enough interest? Really? With your DNA and your future at stake? I know you'll do the right thing because you have read this far. If you don't, along with enough others, you have chosen to enslave yourself. NO MORE POWER TO THE FDA! TELL THEM: "NO! NO! NO!" Educate Congress: NO Federal Debt Ceiling Increase; No Funding for Food Control Law! No Funding for Food Control Law! “This is a crucial moment in the history of the Republic. The Federal Govt’s control over the States has been predicated on two factors: the Carrot (Federal spending) and the Stick (overwhelming military force, as it’s had since the 1860s). Where does the Fed Govt get the money it needs to exercise control over state and local govt employees, such as food safety officials? How does it have the power to force us to accept GMO “Phude” (it looks like food; maybe even smells and tastes a bit like food… but it is not!)? Not so much from taxes anymore. It was John M. Keynes who opined that governments didn’t need taxes to run, since central banks (like the Federal Reserve) could print up all the money they needed; taxes were needed in this view to “sop up” all that fiat currency in order to slow price inflation. No doubt, the Federal authorities will opt for more fiat money creation to maintain the control dollars create. On one hand Federal grants to the states are tightening (”unfunded mandates”) while on the other hand, the central authorities seek to exercise even more control over the localities. So, if we are to give the States a chance to reassert state sovereignty, the Federal juggernaut needs to be held back. How? By limiting its credit. More specifically, by no longer enabling its borrowing addiction. Yes, the Government of the United States of America is behaving exactly like any other addict… And with addicts, there is just one thing to do: JUST SAY NO! All it takes is a House majority willing to say NO! and mean it. NO INCREASE IN FEDERAL DEBT! ZERO ADDED DEBT TOLERANCE! This Action Item allows you to send messages to your Congressperson and Senators. It tells them the Federal Govt is addicted to borrowing ever more fiat dollars, and the only thing we can do when dealing with an addict is to say: NO! Please send this link to all your contacts; take this Action Item viral! The New World Order seeks to control every aspect of our lives in a vain attempt to maintain its eroding power. Natural Solutions Foundation (of which I am a trustee, along with our President, Maj. Gen. Bert Stubblebine (US Army, Ret.) and Rima E. Laibow, MD) seeks to “discover, develop, document, demonstrate and disseminate” natural solutions to some of the many issues facing people around the world. Through our web sites (including www.HealthFreedomUSA.org) and Action Items, we seek to educate decision makers in this regard. 3. Tell Your State Legislators to Reassert State Sovereignty Over Control of Food and Food Safety – Constitutionally! 7 . Demand FDA Leave Our IV Drip Vitamins Alone!